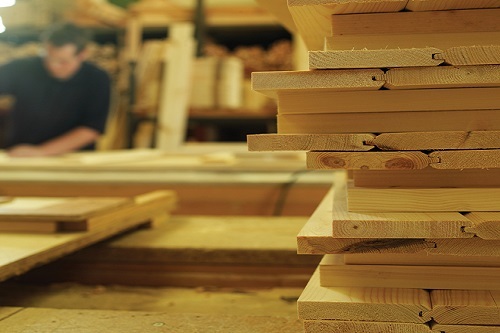 Whilst the Garden Gates Direct website has hundreds of size and style combinations for sale there will be instances where a standard product will simply not fit. 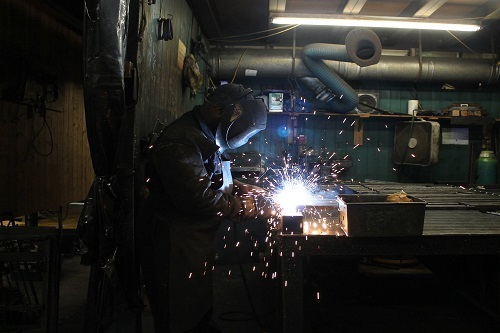 For this reason we offer an extremely popular made to measure service that allows you to order your desired product in the exact size you require (manufacturing limitations apply). 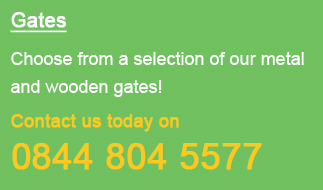 Should you wish to take advantage of this service please call us now on 0844 804 5577, email sales@gardengatesdirect.co.uk or fill in our enquiry form and we will be pleased to provide you with a competitive quote. When doing so we will need the following information from you. 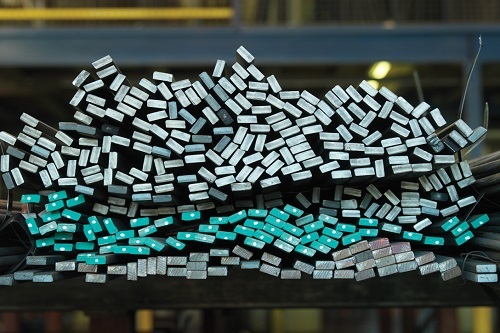 Please also provide us with any information regarding the need for metal posts so we can include these in the quote. For more detailed requirements or where a number of items are required to form a single elevation we are happy to provide you with a simple plan drawing to allow you to check we have fully understood your requirements. 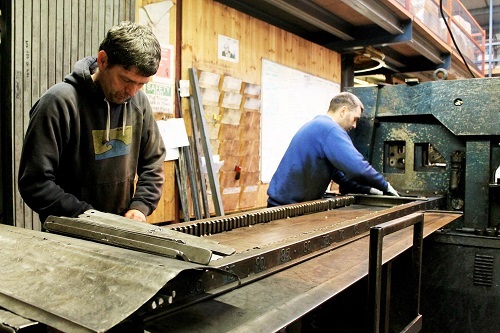 In addition to our popular made to measure service we can also offer a choice of bespoke gate designs. 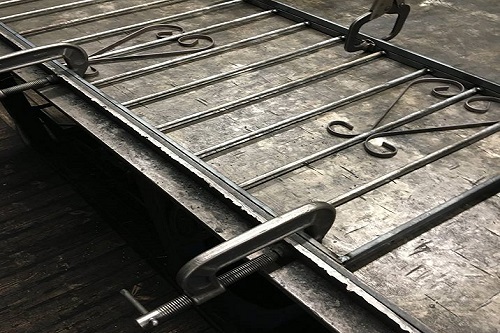 So if you see a gate, fence or railing style you like but want to omit a certain aspect or have a specific design in mind please do not hesitate to contact us and we will see if this is something we could supply. Here are some examples detailed below. This imposing bi folding gate design is a modified version of the standard Royal Premier Estate Gates. 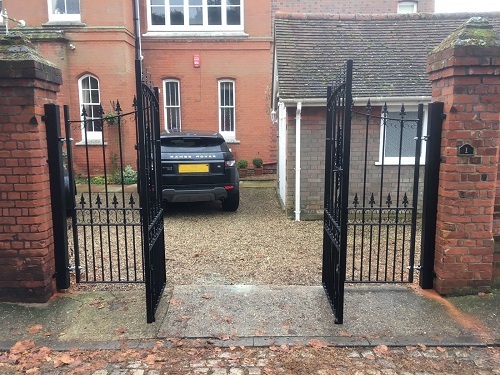 Manufactured using heavy duty solid steel components to provide a strong and secure physical barrier to the entrance of the property the gates take up half the space of a normal pair. Not only that they look great too. 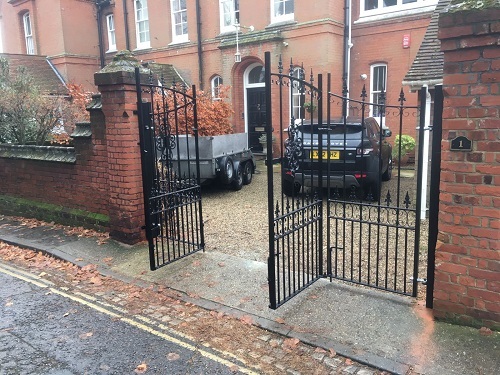 Situated between 2 buildings both with a plinth course of brickwork at the bottom (making the gap smaller at the bottom than at the top) this customer decided on the option of an extra wide Royal Ascot Wrought Iron Side Gate in a modified design combined with matching side infill panels. As you can see the metal panels at the side have been manufactured to follow the contours of the brickwork thus helping to maximise security. The results are pretty eye catching and in our opinion forms a secure physical barrier especially given the fact a heavy duty mortise lock has also been fitted to the gate. Manufactured using pressure treated timber these stunning wooden driveway gates feature decorative metal panels and look simply amazing. 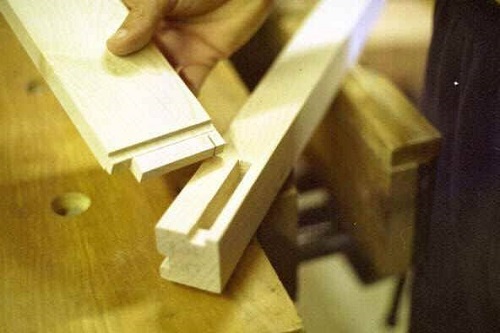 Featuring a mortise and tenon jointed frame and horizontal boards the lines of the gate reflect that of the custom built fence adjacent to them. 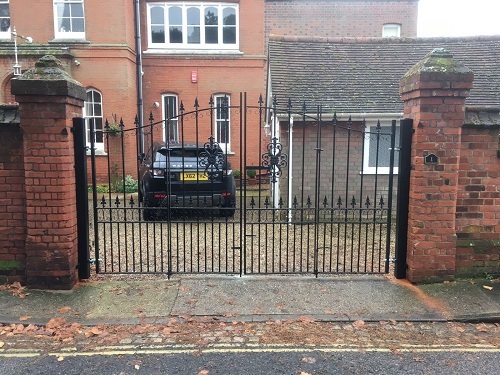 Constructed to a one off design using 40 x 10 flat bar frames this simple yet effective gate design is more of a decorative piece rather than an effective security barrier. Despite this the contrasting appearance with the wooden fence panel at the side is something we rather like. Unlike many driveways this property features a courtyard style entrance and as such the homeowner struggled to find a standard design that would match the shape of the brick arch. To further complicate things the key brick in the centre sticks down into the opening. However after a few careful calculations were made this is the end result. 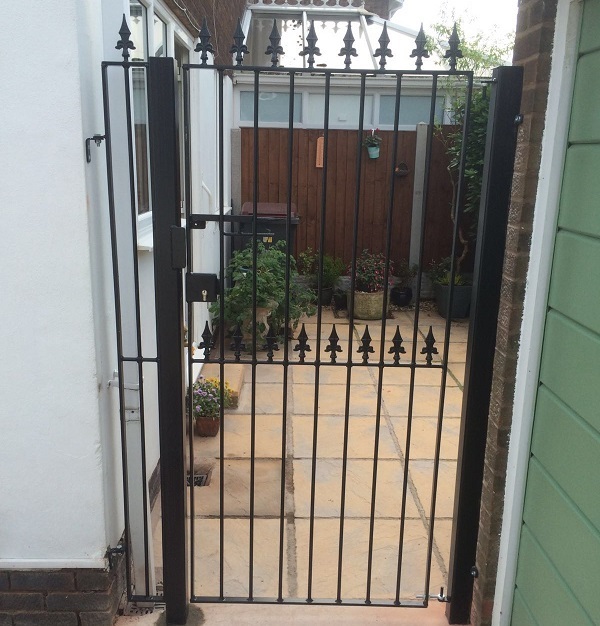 Due to the position of the rainwater pipe coming down the wall and the need to have the gate opening into the garden to stop it catching the garage door (when open) this customer opted for a modified Saxon metal side garden gate that is stood away from the wall slightly by means of a matching infill panel and post set into the ground. Featuring a medium specification 25 x 10mm frame and 12 mm infill bars, security is enhanced with fleur de lys finials along with an integral sliding latch and upgraded weld in box section lock. Manufactured from long lasting pressure treated timber these bespoke Drayton Wooden Estate Gates are fitted to 6” x 6” oak posts. 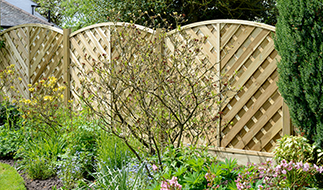 Providing optimum levels of privacy and security the Drayton gate design is handmade by skilled joiners with a fine attention to detail. 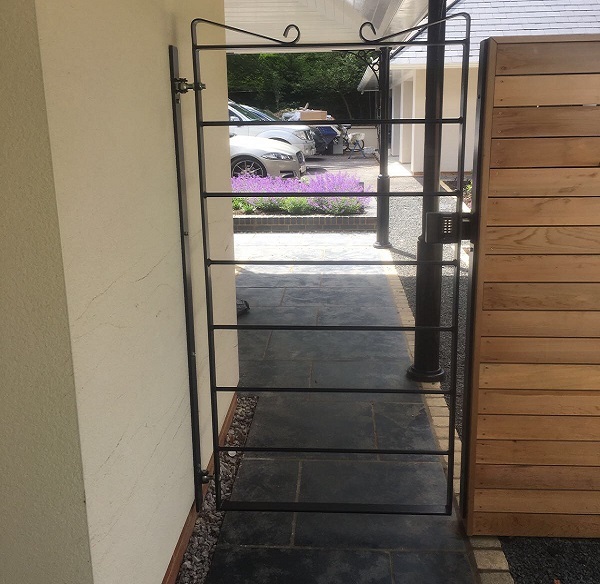 The homeowner also specified a matching side gate however you will note that the hinges are visible on the front face due to the requirement to have them opening outwards. To further complement the overall appearance a bespoke matching timber fence panel was also constructed using the same specification of timber as the gates that takes into account the low brick wall that houses a utilities box. 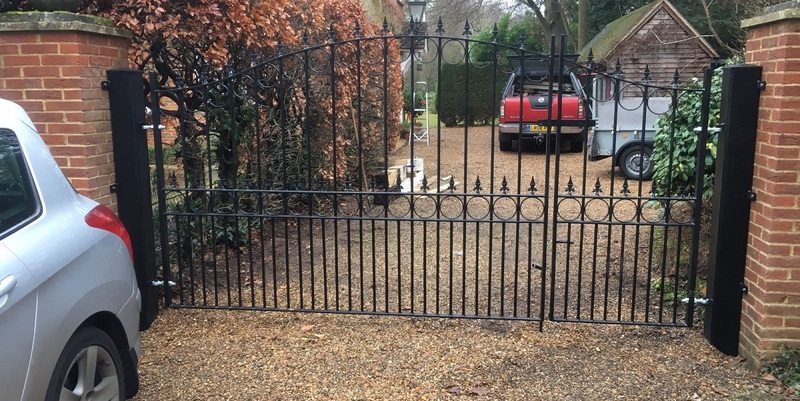 Rather than having an equal pair of gates this customer opted for something a little different in that they requested an uneven split between the 2 leafs. 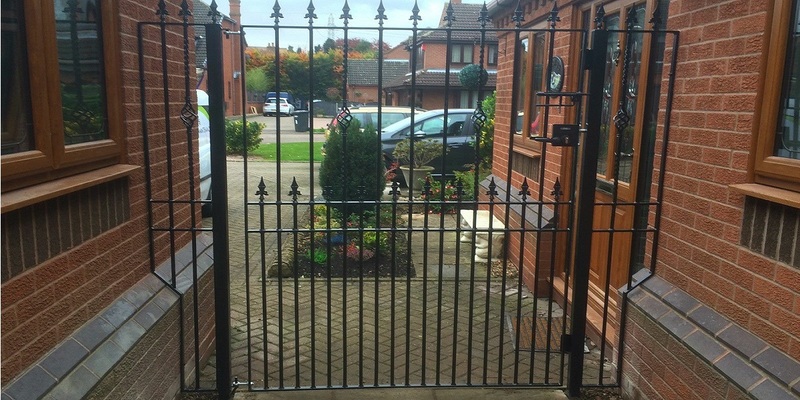 This configuration is ideal where regular pedestrian access is required as it removes the need to have a large swinging radius on the smaller section and is also popular where an obstruction on the driveway may restrict the gates operation. Although the design shown is the Royal Talisman Arched design we are able to offer this opening configuration on pretty much any of our styles. 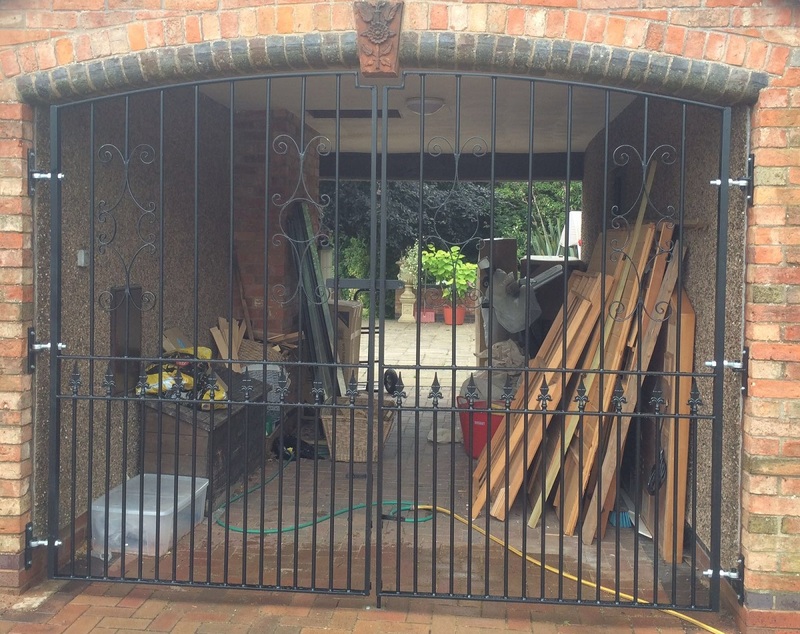 With the need to span a larger than standard opening this customer in Scotland opted for an upgraded version of the bi fold gates available with the Marlborough design. 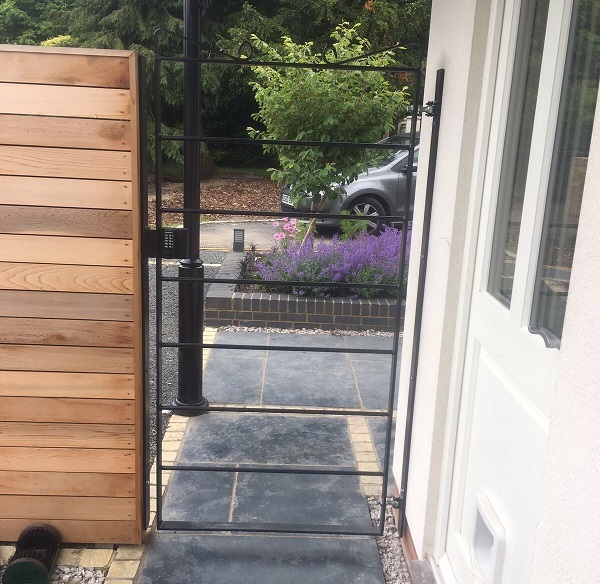 Fitted onto sturdy 100mm x 100mm posts the gates themselves feature a box section frame to provide the added rigidity required to span a 14 ft opening.